What's better than seeing people use their talents to help make the situation on Lesvos a little better? Theater group Changing Stories is joining us on Lesvos for the second time, and we can expect more visits in the future. Founder Matthias voor de Poorte explains all about encouraging children to use their imagination and creating a play together. 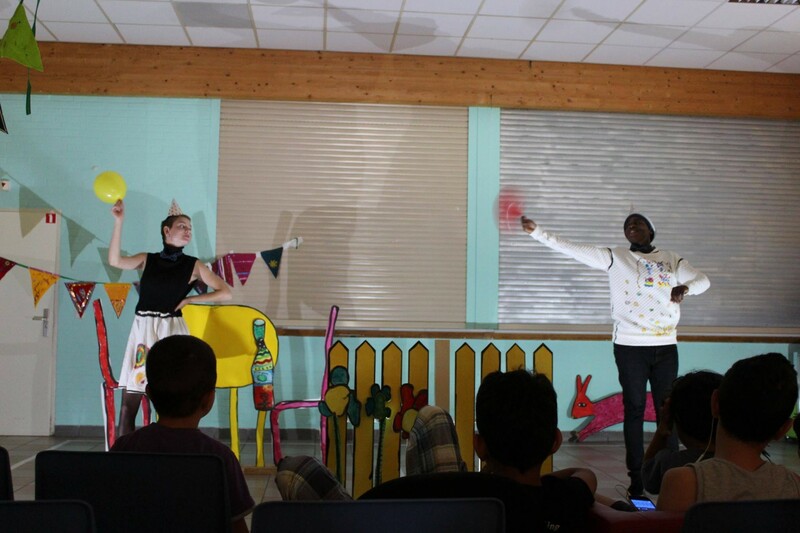 "Our theater project started out by doing a play with children at an asylum center in the Netherlands. It was so spontaneous. We just went to some asylum centers and then the next moment we thought, “Oh, we have to go to Greece!” We went with no idea of what to expect. All we knew is that we had to go to Lesvos and allow children over there have a chance to get in touch with theater. There’s so much need for children to express themselves in a relaxed and safe environment." "The entire concept of having a play on Lesvos is very helpful to kids. They can play a role in art and they can be a part of something. The name of our project is Changing Stories, which basically means that children can change and create the stories in the play, but more importantly, it shows their own life-stories are being changed constantly. So, there are different layers to this project. We give them the opportunity to add their own stories and life experience to the plays." 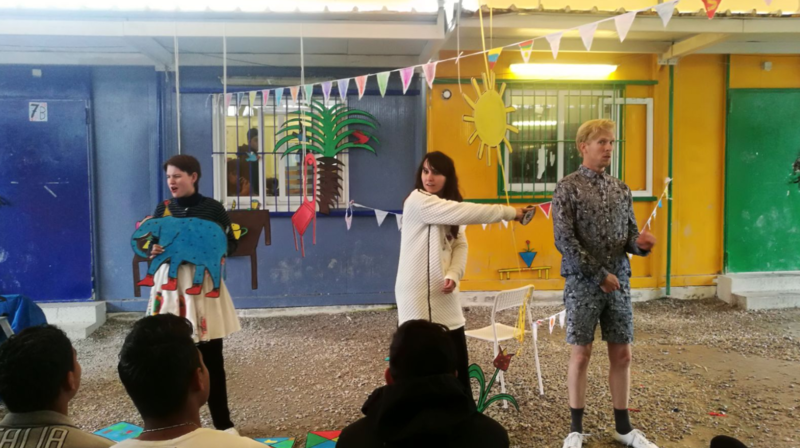 "The play we held on our first trip to Lesvos was based on the theme, “party”. We let the kids come up with a story using their own imagination. We just gave the kids a theme and asked them about their associations with that word or phrase. So, for example, if the theme is “party”, each kid comes up with their own ideas which they would paint on paper, and from those paintings, we make the décor for the play. Every week, new children joined who helped build the play further and further. So, they made the decors, costumes, and participated in the play, themselves. What we did here, at the asylum center, in about 2-3 months, we did in about 2-3 days on Lesvos! It was really interesting to see how fast things progress on the island." 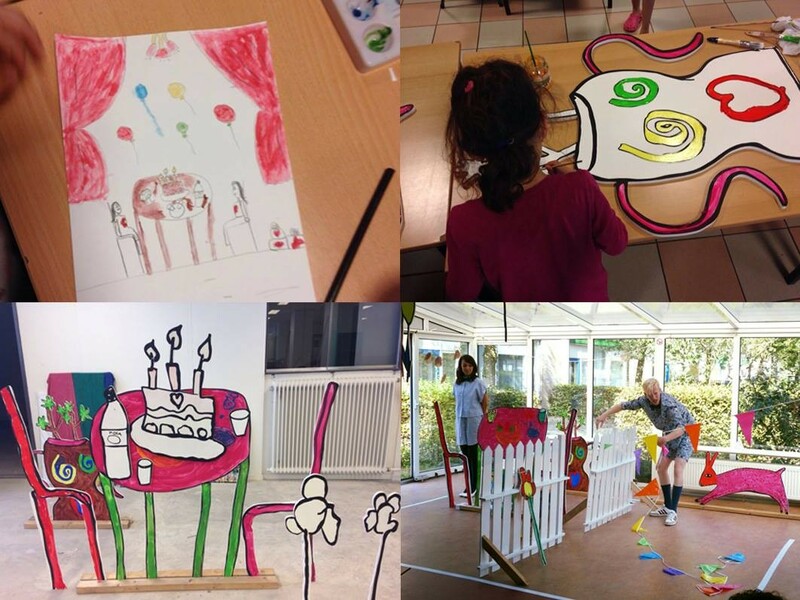 "We build the story and the decors together with the kids, based on their own imagination and adventures." "We strongly believe that theater brings out creativity and imagination. Imagination is the most important thing there is. Especially in a place like Moria, a refugee camp, where all hope seems to be gone. There’s so much need for a little fantasy and dreaming and imagining stories. What are the possibilities when there seems to be no possibilities? Sometimes you have to get rid of the situation itself and sort of imagine that you can be anything you want. That’s what we aim to achieve with the children on Lesvos." 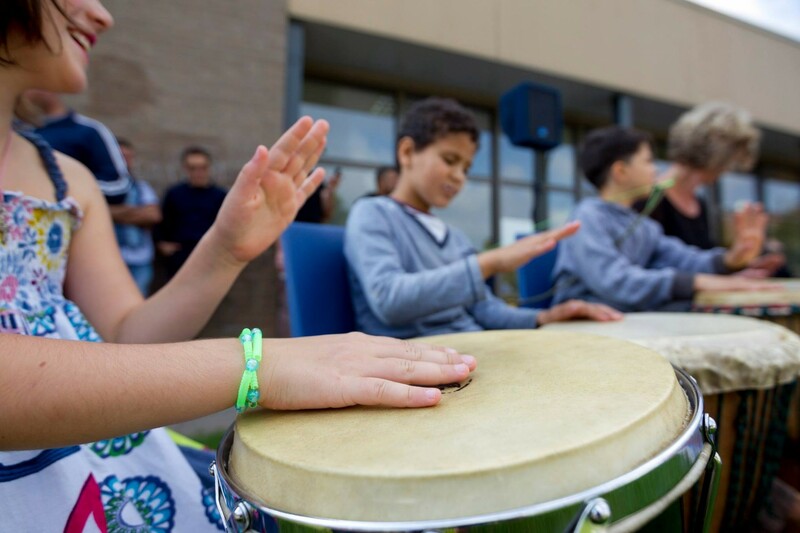 "The initial idea we had with this project was to have children make paintings while parents assisted with making music, costumes or decors. Last time we went there, we made decors with unaccompanied minors. So, it’s great that we can combine the two. Parents or adults can assist in a way. But I think the most important thing is for the kids to get help and attention. When kids get the help they need, life is easier on their parents." "We're going to Lesvos for our next project on the 25th of November (2018). We will have one week full of theater. Our plan for the future is to try and go to Lesvos at least once every few months." What an inspiring story! A special thanks to Matthias who took the time to chat with us! On the 18th of November, Changing Stories will have a Chasing Sunday event where they will present their play, invite musicians and dancers, and carry out workshops to collect money to fund their project and other projects on Lesvos. Everybody is welcome to join! Check out the Facebook event here!